Modern, Helpful, Clear Surveys for Power and Sailing Craft Across the South of England, North of England, in fact anywhere you need a good quality, modern, clear boat survey with helpful customer service! I am often in Devon and would be happy to survey in Dartmouth, Brixham, Exeter, Plymouth, Weymouth, Poole and anywhere between! 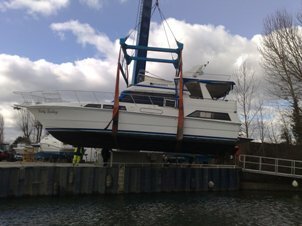 I take absolute pride in providing, Modern, Helpful, Clear boat and yacht Surveys, that assist you with the purchase and maintenance of your pride and joy! , though I have an extensive background in Engineering, Communications and Project Management. 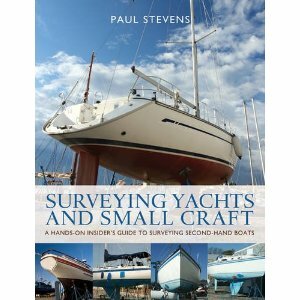 This blend of skills and experience means that as a boat surveyor I can help take the worry out of buying or selling your beautiful power or sailing craft. I will always provide a friendly and supportive voice throughout the survey process. My Home area for all marine surveys covers the River Thames, Guernsey in the Channel Islands, the South Coast and large sections of the East Coast. I ensure very competitive pricing and keep my travel costs to a minimum. In fact, I never charge for the first 120 miles of travel to carry out a yacht or boat survey! Portsmouth, Port Solent, Gosport, Fareham, Hamble, The Itchen River, Southampton, Hythe, Lymington, Poole and Weymouth. Chichester, Birdham, Bosham, Emsworth, Hayling Island, Shoreham, Newhaven, Brighton and Eastbourne. Faversham, Tollesbury, Malden, Canvey, Fambridge, Battlesbridge, Gillingham, Rochester, Chatham, the Whole Medway including Maidstone, Tonbridge, Cuxton and Farleigh. If you see me, please don't hesitate to stop and chat! I'm always happy to help! 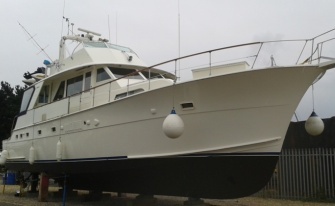 Having been a Power Craft and Yacht owner for many years, (the vessel above is my pride and joy, a Taiwanese Motor Yacht) I have set out to learn from my own experiences in order that your survey experience is improved. As a professional yacht surveyor you can enjoy the benefits of an excellent customer service record, and combined with an extensive project management background I'm perfectly happy liaising with and managing multiple parties if needed. Indeed, I have attended the ABYA Yacht Brokers Course, to help you, my clients, understand the world and the ways of yacht and small craft brokers. I am Proud to be able to work to the Standards of the Yacht Designers and Surveyors Association In my Opinion, this is the Association that Matters for Yachts and Small Craft!! I love what I do! You never know what you'll find next. Above is a Picture of Hattereas 58 Yachtfisher surveyed on the Isle of Wight, a rare and cavernous vessel with a level of build quality and fitout that demands respect, and takes time to survey! Windsor Marina and the Race Course Marina, Shepperton, Walton, Chertsey, Henley, Marlow, Cookham, Bray, Reading, Wargrave, Woking, Guildford, Pyford, Wisley, Byfleet and Newhaw, Weybridge, Kingston, Thames Ditton, Teddington, Richmond, St Katherines Dock. I am often in Dartmouth, Brixham Torquay, Exeter and the surrounding areas. The South Coast including Southampton, Chichester and Poole. South West including Dartmouth, Brixham, Exeter and Weymouth. The East Coast including the Essex Coast, Ipswich and the Orwell, Lowestoft and the Norfolk Broads. The River Thames, Docklands and River Lee.